and would love to play your favorite venue! arrange for the perfect event. "Something magical happens when humans master harmonies like you two do! Can't get enough of it!" you are missing out on some incredible local talent." "Perfect combination of great songs/harmonies + some general silliness which makes for a really fun experience! "You guys were WONDERFUL! Exactly the mix and vibe we wanted. A million thanks!!!" "Love love love this duo! They are amazingly talented and provide the best entertainment. IvyLane performed at my local charity event and they were absolutely wonderful." "Love these two - they play at my bar (Match Coffee and Wine in Duvall) and they are always a customer favorite!!" WHAT FELLOW MUSICIANS SAY ABOUT IVYLANE..."Beautiful woman who can sing *anything*, guitar player so good he makes me want to throw mine into a ditch...go see these two!" Join us for Chef Ted's Birthday Celebration! Friday 9/6 - Beer Garden Stage, 5 - 6:30pm - Mukilteo Lighthouse Festival! We're back in the Beer Garden at MUKFest 2019! ​We'd love to play your favorite venue! know a local wine bar / bistro / restaurant where we'd be a welcome addition? Please call the restaurant for reservations! ​​​Friday 4/13, 8 - 11pm - The Scotsman Bistro, GRAND RE-OPENING CELEBRATION!! 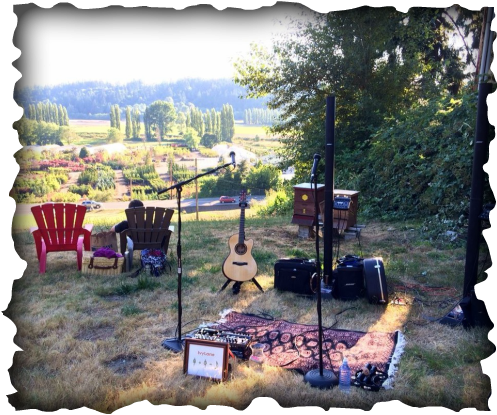 Your next event could include the sounds of IvyLane! >> Contact us to find out how! Friday 9/7 - Beer Garden Stage, 5 - 6:30pm - Mukilteo Lighthouse Festival! We're back in the Beer Garden at MUKFest 2018! Saturday 10/20, Private / Wedding & Reception!